Homeless, Van Dwellers, All those Who Wander are not Lost, VanLife. “All who wander are not lost” this saying screams Ken and Michelle. We decided to move into a van as our choice of homes, for various reasons. One of our main reasons for choosing VanLife is being Minimalists at heart we like simple over complicated. The other big reason is to help pay down some of our debts and to help save money. Just because we choose VanLife does not mean we are Homeless, it just so happens our home is on wheels. This saying is so much us. Michelle is from the Philippines and she has always wanted to travel and explore. 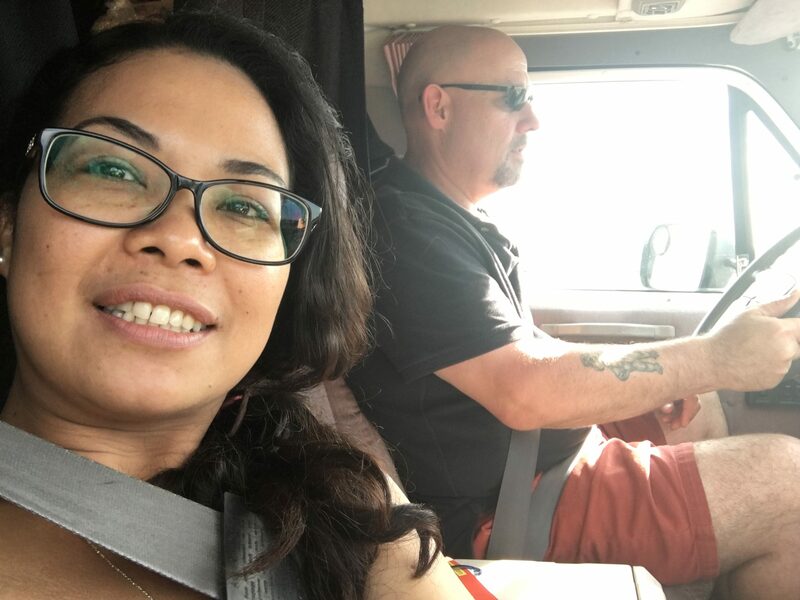 I am retired from the Canadian Navy and I have travelled all of my life, so having a home on wheels is right where we want to be. So many people look at us kind of strangely. Nights after showering at the “Good Life Fitness” where we have our gym membership, we stop at Tim Hortons for a coffee, sometimes we are in the van, and the people working will offer us the remaining soup, or timbits, and though we are so very grateful, but we are not homeless! There have been many stories in the CBC of late about the number of people, “Homeless” who are living on the streets of Vancouver. 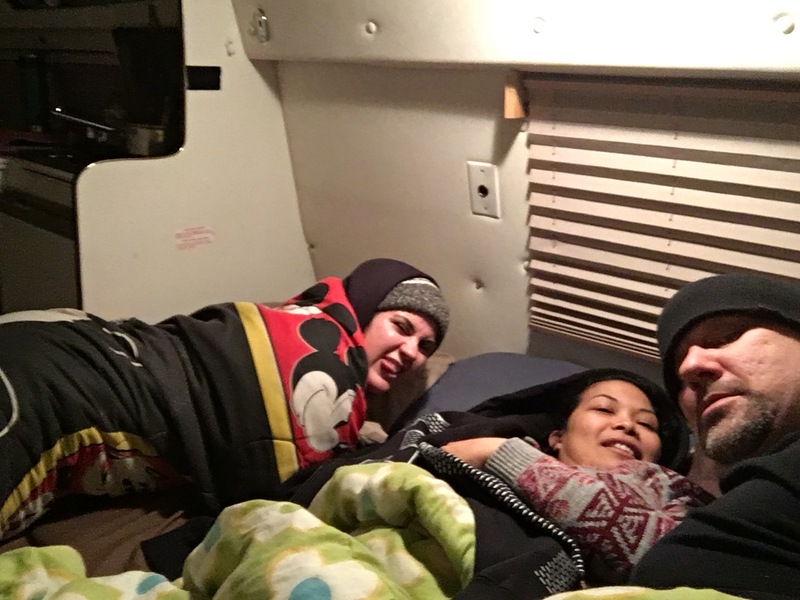 This story talks about a large number of homeless people living in vehicles. Of course, the general public fear those that do not conform to what is considered the norm. Some of the article I agree with, we who live the VanLife, should not leave garbage on the street. We need to be respectful of others in the area. It is no different if we are your neighbour in the house next door, the only difference is we are on the side of the street. Leanne Daw got used to watching the van-dwellers roll up behind the East Vancouver warehouse where she worked. “It was pretty bad. They used our dumpsters and one time there was a drug lab in one of the trucks,” said Daw. How is this related to living the Vanlife? 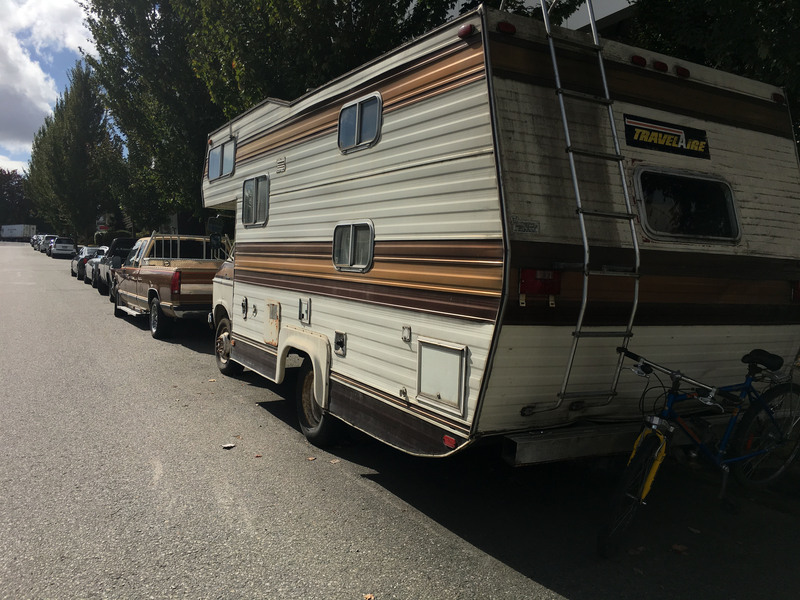 Drug Lbs are found in areas of all walks of life, not just van dwellers. If you have read any of our earlier stories you will know that my sister travelled and lived with us for about 15 days. She has never questioned our motivation behind what we are trying to do. However, some of my other so-called family have judged me from the very beginning. In the end, though, I will have done what I set out to do, never afraid to actually do the things I have wanted to do. I say to hell with what the general public have to say or think! We are not homeless but free of that crushing debt of being tied to a mortgage payment. Instead, we are able to save to travel, to do the things we want to do. Do not stand there, hand on hip, with the smug look on your face, looking down at me, and laugh. Instead, know that I pity you, your close-mindedness, I feel sorry for you, for the life lost because of fear you are not strong enough to overcome! Here are a couple of Links to other stories of people living in their vehicles. check her nose if its wet and cold she’s healthy!! 🙂 . How is life? ?